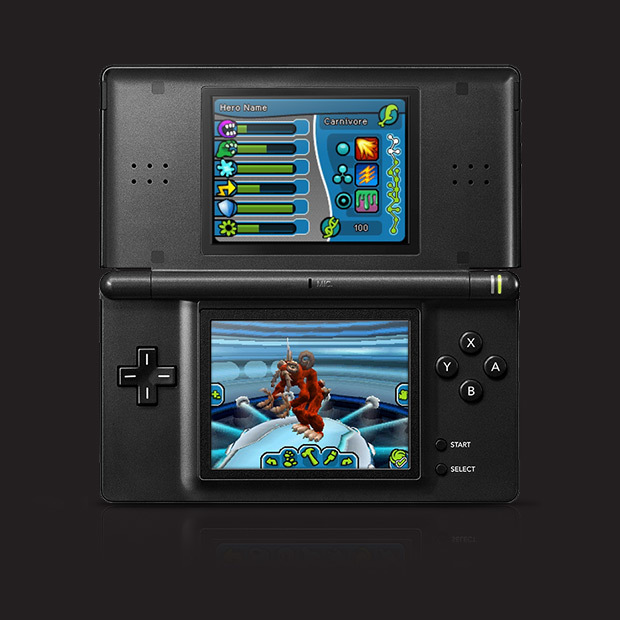 Create your Hero and fight to become the Galactic Champion. 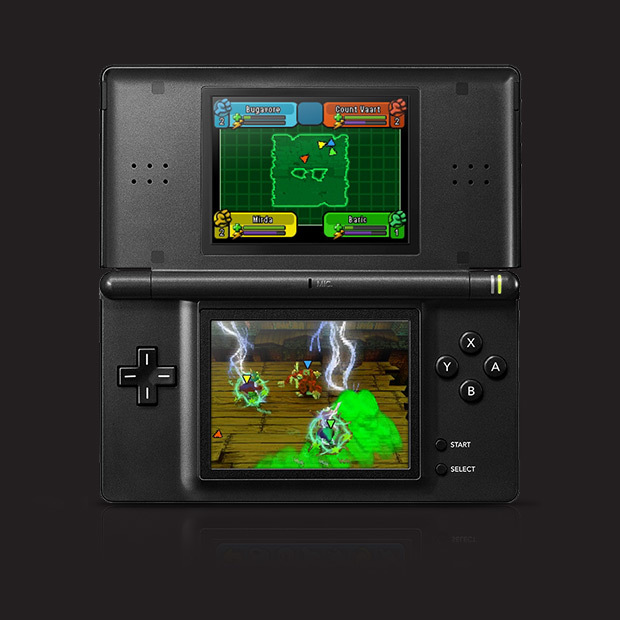 An evil force is spreading corruption across the galaxy, and only you can stop it! 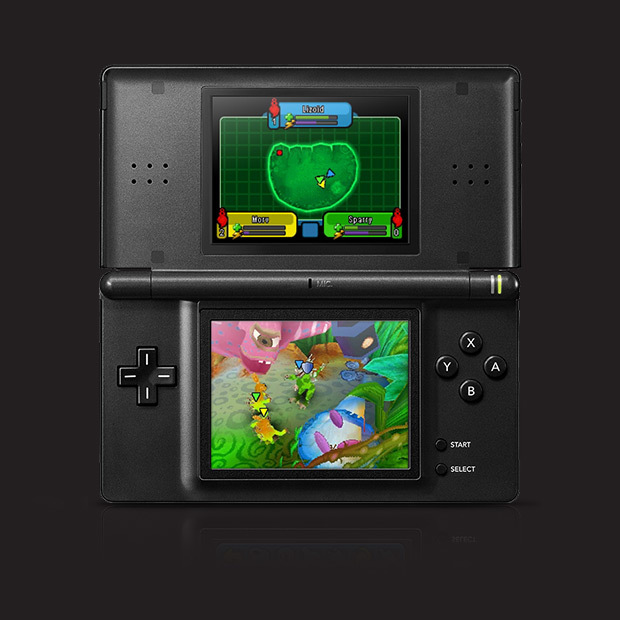 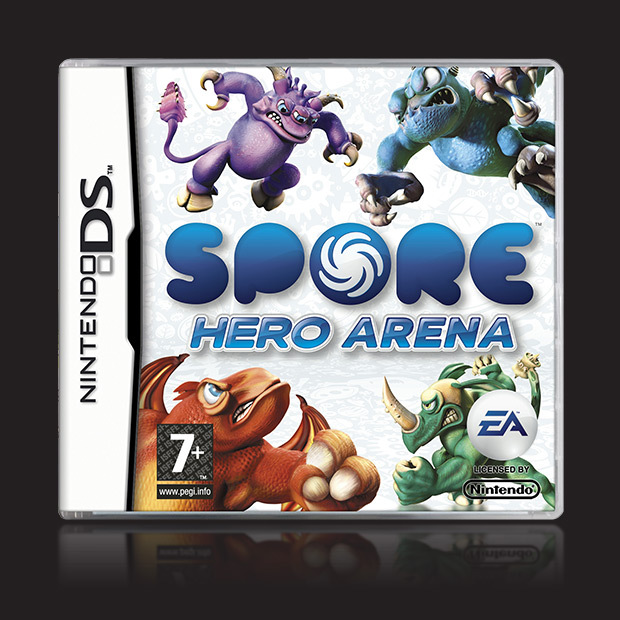 For the first time ever, build fully 3D Spore creatures on your Nintendo DS and take them into battle. 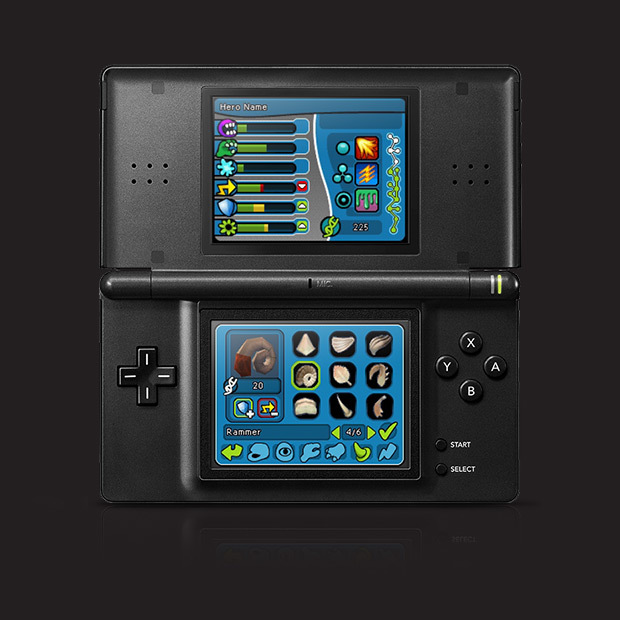 Explore planets all over the galaxy, fight creatures, and collect parts to customize and enhance your mighty hero.